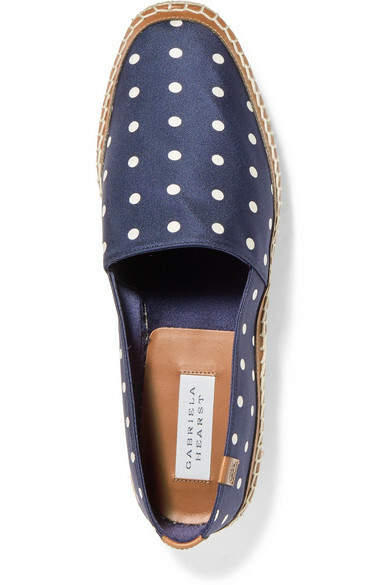 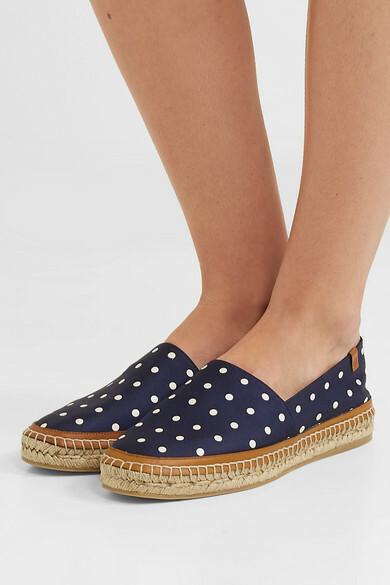 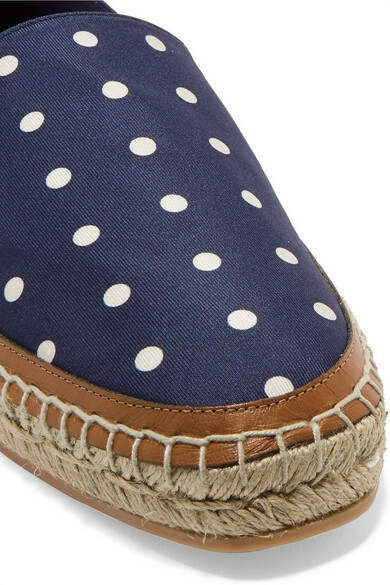 Gabriela Hearst's faille espadrilles feel extra summery with their smattering of polka dots. 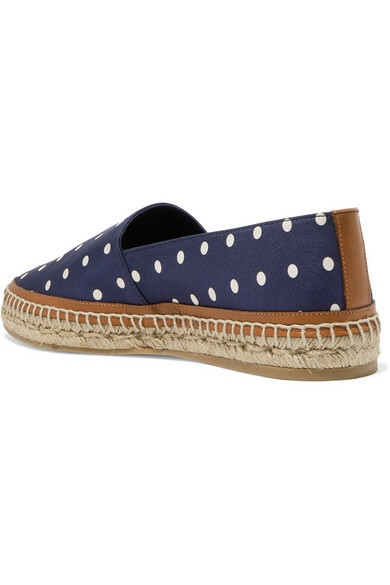 Sustainably made in Spain from recycled materials, they're set on jute soles trimmed with brown leather and durable rubber, so you can wear them on city streets just as easily as you can at the beach. 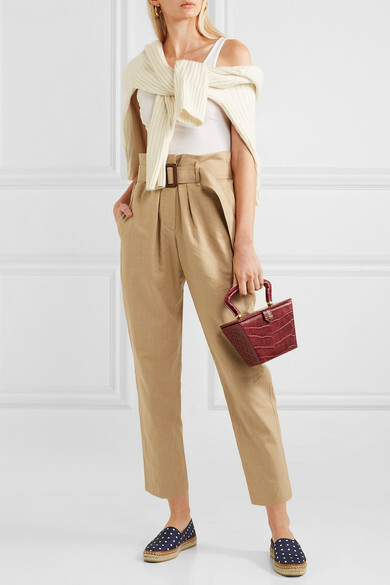 Shown here with: James Perse Tank, Brunello Cucinelli Pants, RE/DONE Sweater, Dinosaur Designs Earrings, Alighieri Necklace, STAUD Tote.